This is to remind you that Kibabii University will be hosting its 4th International Conference from 12th to 14th June 2019 at Kibabii University Main Campus in Bungoma. 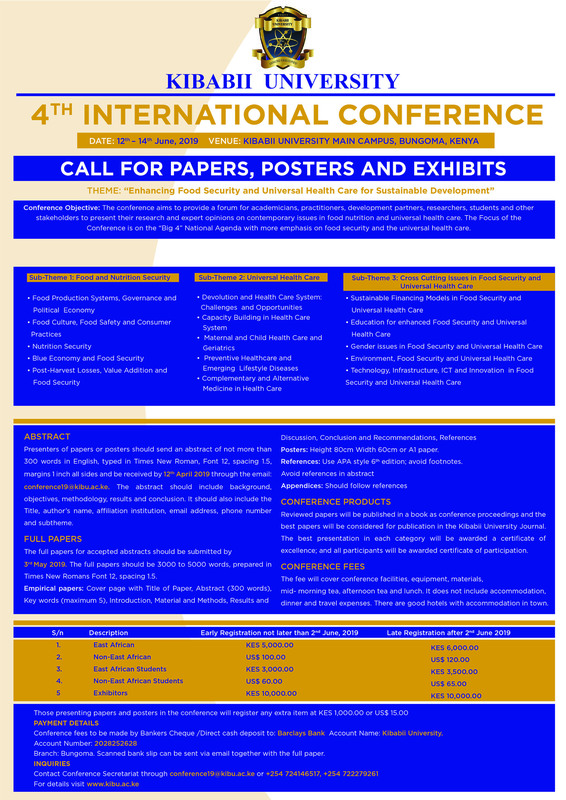 Kibabii University invite you to participate during this conference and therefore kindly request you to submit your Abstract(s) for review. The deadline for Abstract submission has been extended to 3rd May 2019. We request you to submit your Abstract(s) on time for their review before submission of the Full Paper for presentation during the conference.